The best things come in pairs. 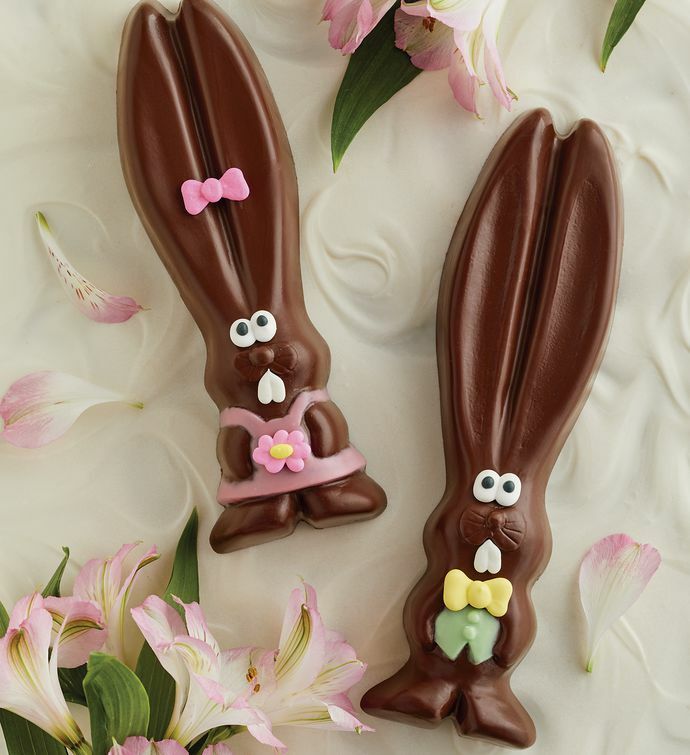 Crafted in our Southern Oregon candy kitchen, these intricately decorated chocolate Easter bunnies are made with the same decadent and silky-smooth chocolate we use in our rich truffles. Playful and sweetly satisfying, this chocolate gift is the perfect Easter treat to share and to savor.